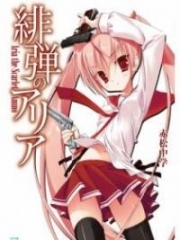 You’re reading novel Chaotic Sword God Chapter 369 - A Fusion of the Azure and Violet Sword Qi online at LightNovelFree.com. Please use the follow button to get notification about the latest chapter next time when you visit LightNovelFree.com. Use F11 button to read novel in full-screen(PC only). Drop by anytime you want to read free – fast – latest novel. It’s great if you could leave a comment, share your opinion about the new chapters, new novel with others on the internet. We’ll do our best to bring you the finest, latest novel everyday. Enjoy! Not too long after, an azure streak of light could be seen at the very end of the horizon. Flying toward Jian Chen with a blinding speed, the Heaven Saint Master came to a stop in the air above Jian Chen. Although it was dark outside, this would not impact a Heaven Saint Master at all. “Jian Chen, keep on running, why did you stop?” The third elder spoke with a cold sneer fifty meters in the air. He was no longer the amiable person from before. After squandering so much time to catch Jian Chen, the third elder had already lost his kindly temperament. Sitting down on the ground, Jian Chen was currently using a Cla.s.s 5 Monster Core to recover his strength. Even if he had decided on not running away, he did not plan on making it easy for the Heaven Saint Masters. At his death, there would be a heavy price to pay. The third elder floating above Jian Chen calmly without making a single move. The other members from the Jiede clan and s.h.i.+ family weren’t here yet, so he had no plans on making a move toward Jian Chen. He had to make sure the rest of them would come first so as to save face for the other clan and disrupt the relations.h.i.+p they had between them. An hour later, two of the Heaven Saint Masters from the Jiede clan and the remaining brothers of the Cai family arrived. The eight Heaven Saint Masters then locked Jian Chen within a ring, making escape impossible for him. “Jian Chen, return the Duanyun Sword and we will leave your body intact.” The Jiede clan elder barked. “Return the Seal of Treasure Mountain or else we will make sure that you will beg for death!” Roared another of the Cai brothers. The eight Heaven Saint Masters grew gray in the face as they heard Jian Chen’s words. They knew all too much already that not being able to catch a single Earth Saint Master was an undeniably shameful thing. “Disgraceful child, allow me to see just what ability you have!” The fourth elder barked out as he rushed toward Jian Chen with his yellow giant sword billowing outward with Saint Force. An explosive glare could be seen in Jian Chen’s eyes as he brought his awareness to the highest level possible. Using the Spirit Sword, the Light Wind Sword instantly became a bright silver light that shot toward the fourth elder’s throat with a sonic boom like sound. It was as if the sword had reached the speed of light. Flying through the air and leaving behind after images of itself, almost no one could see it clearly thanks to its speed and the added bonus of the night. Caught off guard, the fourth elder had his throat pierced straight through with the sword, leaving behind a large hole. Straight after the sword left from the fourth elder’s throat, it flew straight toward the third elder fifty meters above the ground. The third elder’s eye released a refined glint as a large amount of Saint Force flooded out from his body, protecting him completely. The moment the sword made contact, it’s momentum began to slow down instantaneously before stopping completely. At the same time, a single machete appeared within the third elder’s hand. With an explosive bang, the air around the machete began to distort from the energy being gathered within it. Then, with a grunt, the third elder brought the machete smas.h.i.+ng down upon Jian Chen’s Light Wind Sword. With a crisp metallic sound, the Light Wind Sword dropped down to the ground powerlessly. On the blade, there was a single crack. “Pft!” Jian Chen sprayed out a mouthful of blood from the damage dealt to him. With his Light Wind Sword connected to him and being damaged while using the Spirit Sword, his senses had been harmonized with the weapon itself. Not only did the third elder’s strike damage his Saint Weapon, but it had dealt a heavy blow to his Spirit as well, causing a headache for Jian Chen. Even after having a large hole blown through his throat, the fourth elder of the s.h.i.+ family was like the ancestor of the Moyun clan and did not die. Instead, the fourth elder looked at Jian Chen with a newfound fear. He had only been a few meters away from Jian Chen and didn’t have much time to prepare himself, but that instant had led to him being unable to defend himself against the Light Wind Sword. If he was an Earth Saint Master, then he would have died instantly. “Quick, hurry up and refine this!” The third elder took out a pill. Instead of placing it within his mouth for the fourth elder to chew, he tossed it into the hole left behind by Jian Chen. 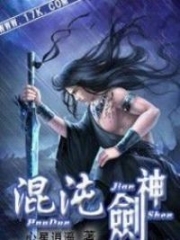 With difficulty, Jian Chen managed to recall the Light Wind Sword back to his hand. There was some pain in his heart as he gazed at the crack in his sword. The power contained within the machete of the third elder was far too much for his own sword to handle. Suddenly, a fire red glow appeared above Jian Chen’s head, illuminating the area completely. Lifting his head up, Jian Chen could only see the eldest Cai brother begin to manipulate the fire elements within the world before shooting it toward him. The amount of pure berserk energy swelling up from the blast scared even Jian Chen. Throwing away his hesitation, Jian Chen threw himself to the ground and rolled away right as the giant sword of fire slammed into the ground where Jian Chen once stood. The entire ground began to shake before splitting apart to reveal a thrity meter long fissure. Just as Jian Chen stood back up, a strong gust of wind could be felt coming from behind him. One of the elders from the Jiede clan had suddenly appeared behind Jian Chen to stab him with his water attributed Saint Weapon. Turning around abruptly, Jian Chen used the Heaven’s Stolen Fortune to multiply his strength three times over. The Light Wind Sword in his hand began to glow with an azure and violet light as it struck against the other elder’s Saint Weapon. Following another explosive boom, Jian Chen spat out another mouthful of blood as he was thrown back down to the ground. Each and every Heaven Saint Master here was far stronger than the Moyun clan ancestor, and with Jian Chen’s strength nearly running dry, he was in no position to take a single blow from any of them. “Cough!” Jian Chen continued to spit out blood as his face turned paler and paler. A large amount of blood had already escaped his body, and with so many severe blows, his fighting strength was all but gone. “Brat, I’ll make sure that you will beg for death.” A coa.r.s.e voice could be heard as the fourth elder of the Cai family coughed out the words with difficulty. Landing on the ground, he took out his Saint Weapon and stalked toward Jian Chen. Biting his lip, Jian Chen struggled to climb back up and clasp onto his weapon. After taking on the blow from the Jiede clan elder, several more cracks appeared on his sword. “Even if I die, I won’t allow you all to claim my life so easily.” Despite the heavy injuries, Jian Chen still had a resolute glare in his eyes. A faint glow of azure and violet appeared on his sword once more, covering the entirety of his sword. However this time, the two colors began to meld together. As the fourth elder drew close to Jian Chen, he swung the sword horizontally in an attempt to behead Jian Chen. A crazed expression overtook Jian Chen’s eyes as he clutched his sword tightly. In that split moment, the combined azure and violet light began to shake for a moment before the lights started to flicker and fully harmonize with each other. Just as the two Sword Qi fused with each other, an eye piercing light shot forth from the Light Wind Sword. No longer was the light purely azure or violet, it was now the two colors combined. There was azure in the violet, and violet in the azure as if the two were one the entire time. Suddenly, an unbelievably strong amount of Sword Qi appeared and filled up the entire area. In a second, the entire world seemed as if it belonged to this realm of the “Sword”. No matter where anyone went to, all they could feel was the overwhelming power of Sword Qi. This amount of Sword Qi was almost unbelievable to imagine. It allowed anyone to believe that it was strong enough to set the heavens aflame or even destroy the firmament of the heavens. But in the Light Wind Sword, there was still a minute crack to be seen. This scene had caused all eight of the Heaven Saint Masters to grow aghast at this unexpected change. Their eyes began to widen as they stared at the explosive light pouring out from the Light Wind Sword with a mystified look. When it came to this Sword Qi, all they could feel was dread. “Jus… just what is this energy?” The eldest Cai brother’s voice began to tremble with fear. Suddenly, a gentle gust of wind blew across the eight Heaven Saint Masters, reducing parts of their clothes to tiny fragments. Blade marks began to appear all over their bodies and even their hair was reduced to tiny pieces as if grounded into powder. Slowly, blood began to appear from their wounds and dyed their entire body with its redness. The entire air around the area was no longer the same simple air, it was now imbued completely with Sword Qi. When the light wind had blown across their bodies, it was the same as being struck with countless blades of Sword Qi. Even if they were to breathe in a breath of air, their inner organs and viscera would be instantly cut apart by the Sword Qi gathered around them. With the fusion of the azure and violet Sword Qi, the entire area had became a realm ruled by the sword. This was a domain where only the Sword Qi remained supreme. Each of the eight Heaven Saint Masters were utterly breathless. Shortly afterward, they began to release a large amount of Saint Force within their bodies in an attempt to protect themselves from the Sword Qi that was looming all around them. “Quick, kill him!” The third elder spoke with unconcealed fear and a trembling voice. 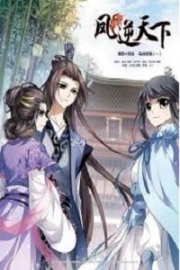 You're reading novel Chaotic Sword God Chapter 369 - A Fusion of the Azure and Violet Sword Qi online at LightNovelFree.com. You can use the follow function to bookmark your favorite novel ( Only for registered users ). If you find any errors ( broken links, can't load photos, etc.. ), Please let us know so we can fix it as soon as possible. And when you start a conversation or debate about a certain topic with other people, please do not offend them just because you don't like their opinions. You're reading Chaotic Sword God Chapter 369 - A Fusion of the Azure and Violet Sword Qi. This novel has been translated by Updating. 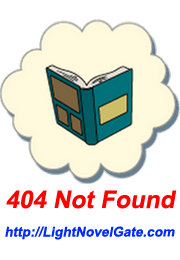 Author: Xin Xing Xiao Yao already has 11589 views. Current Time is Apr-23-2019 00:38:51 AM.